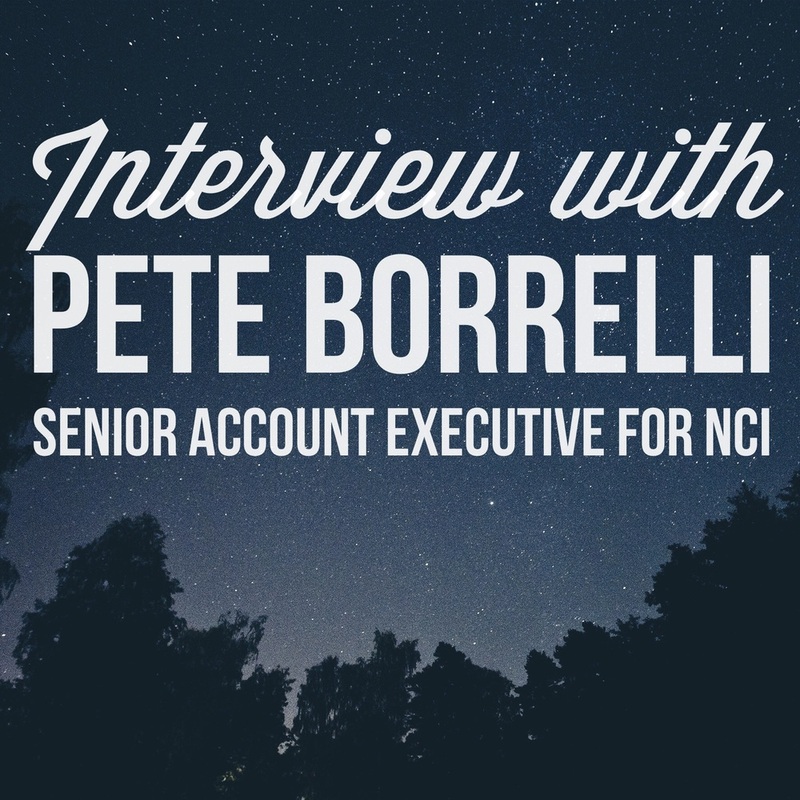 The following is an interview I conducted with Pete Borrelli who has been a Senior Account Executive with NCI for a decade. He is a recruiter and trainer on our Plan 2 programs and we discuss what makes a good salesperson among other things. Pete, tell me briefly about your background in selling accounting service and how you eventually came to work for NCI. Well, in a prior life I was a Human Resource guy and had worked for a couple different businesses in Syracuse , NY and here in Rochester which is my home. I went into sales in 1982, selling for a company that accountants are very familiar with, Commerce Clearing House ( CCH ) a tax and business law publisher. I was with CCH for about 12 years. I then moved on to Paychex. I worked with them for a couple years selling payroll, they are a great company but it was the wrong place at the wrong time. Then in late 1999 I was recruited by Steve Kapostas to be a CSR for a local CPA firm in Rochester and that began my association with New Clients, and selling accounting services. I worked with that firm for about a year and then Steve talked about the possibility of coming on board as a Senior Account Executive, tough decision with all the travel involved but I decided to do it and really never looked back. I’ve been involved with it now for about 10 years, although I took a hiatus for a couple years, going back to work with another accounting firm because there were some family health issues here. I eventually went back to being a Senior Account Executive and in July it will be two years that I’ve been back. Can you just give a little overview of what it is that you do here? As a Senior Account Executive primarily what I do is implement the Client Acquisition Programs out in the field. The onsite process encompasses two separate weeks. A recruiting week, where we go out and put the staff together for the accounting firm which includes the outside sales person (or CSR) and the appointment setters. In that first week we also train the appointment setters. Then there’s a week in between, where the appointment setters start their job and set appointments for the third week and beyond. I return that third week with field training for the Client Service Representative where we look to go on the appointments that the appointment setters have arranged. So the second onsite week is devoted mostly to field-training but there certainly is a classroom element to that as well. Over the first day and a half, I do one on one classroom training where the CSR and I discuss in considerable detail how the presentation is done. I also impart a lot of product knowledge throughout the week. Speaking of the hiring and training of the CSR, what are some things that you look for in a person that would qualify them to sell accounting services to small and medium sized businesses? Well, first and foremost, in order to do this job effectively, I think that anybody needs to have some experience. I don’t think that somebody directly out of college or someone looking to make a career change can do this well, so at least 2-3 years of sales and most preferably business to business sales experience is required. That’s 2-3 years of business to business sales, selling preferably some sort of intangible service (like accounting or insurance) as opposed to them selling a physical product. White collar, Brooks Brothers type of selling where that person isn’t out there pounding the street probably is not a good fit for CSR position. We also look for somebody who is well spoken and they need the ability to work with a great diversity of businesses and business owners because that’s what they will encounter in the position. So I think that’s important to be able to speak to people at various different levels. What are one or two things that you’ve noticed in doing this for so long that helped to separate a mediocre or good CSR from a great one? I think it’s their dedication and their commitment to doing what’s necessary to make the program successful. I always like to point out something my colleague Todd Steinberg says “Only 20% of the CSR position is actually making presentations across the table from a business owner.” The other 80% of the time it’s following up on pending deals in the pipeline and it’s prospecting for new business opportunities. There are a number of ways that can be done in this program whether it’s good old fashioned walk in cold-calls, or setting their own appointments over the phone. I especially like to see CSR’s developing networking opportunities. Activity, activity is what separates a mediocre CSR from a really good CSR. A good CSR always make sure that their business day counts and that they keep their day productive. That makes a lot of sense, and what do you look for in appointment setters What’s that part of the process like? Let’s face it, finding successful long term appointment setters can be a real challenge. With the appointment setters and the CSRs as well, I would look for a somewhat stable work history. If someone interviewing for the position has been hopping jobs every two or three months, that’s a real negative for me. That doesn’t give you an indication that they’re going to be at the accounting firm very long. So of course you look for experience, you hope that they’ve done this before and have been able to experience all the rejection that comes along with it. I like to see that they are well spoken. During the interview we have the applicants read the script out loud to see how they sound. I like to see that they deliver the script in a way that’s non mechanical but at the same time faithful to what is scripted, that they don’t improvise in any way but still have their personality show through. What are some of the tools that you utilize to help you make a decision on the CSR position? One of the things that we always do in the midst of CSR recruiting is to conduct an internet-based sales test. I don’t consider it be the end all be all, I don’t think there’s any psychometric test that’s going to be a 100% accurate predictor of success. None the less it gives us an indication. So we look at that and we certainly give it some weight. We always do reference checking and while someone wouldn’t give you a bad reference, you can sometimes pick up on a less then stellar reaction from certain references over the phone. We do a criminal background check as well. Talk a little bit more about that sales personality profile, what it tells you and how it plays into the decision making process. What it attempts to measure is whether the candidate would display the personality characteristics that would determine success in the CSR position. So it speaks to behaviors like; prospecting ability, closing ability, attention to detail. It looks to measure a set of behaviors that would lend themselves to success in the CSR position. Closing and prospecting are two areas of particular importance so anybody who didn’t score well in those areas I think I would have concerns with. That said, I mean to be honest, there are people who didn’t score so well on the test but ended up being the selected candidate and have done very well, and the reverse is true too. A lot of it comes down to work ethic in the end. Switching gears a bit, you are the only trainer that we have that can install the Client Acquisition Payroll Program. Could you tell me a little bit about that program, give me an over view of it? Well, Bruce wanted to start up a Client Acquisition Program for payroll because there is tremendous opportunity for accountants to grow their firm and build their revenues by offering payroll preparation. Many times small business owners, even though they are small, they don’t want to get involved in payroll at all. So they’ll outsource it to some kind of a payroll provider such as Paychex or ADP . With new developments in software and the internet however, accountants who for many years avoided payroll because of time constraints and a perceived lack of profitability are now looking to offer that service. In light of many accountants recognizing that payroll is a good source of revenue, what Bruce wanted to do is a program specifically geared toward the ability to secure payroll clients. It’s a bit of a different animal from accounting clients. Payroll tends to be thought of as a commodity, so there’s more price sensitivity towards it. At the same time service is an important element to it and I think accountants can provide a greater breadth of service than the payroll companies can. Particularly in terms of developing more of a personal relationship with that payroll client than they’re going to get at one of the national or regional payroll companies. Payroll preparation can be extremely profitable and even if a client comes into the firm strictly as a payroll client there’s the ability for the firm to be able to cultivate that client over the years and provide additional services. Is there anything else you want to add about the advantages of cross-selling payroll to an established accounting client base? What are some qualities that you’ve noticed that help an accountant to be successful with our marketing programs? Well, that’s all I had for you Pete is there anything else you wanted to add here at the end? Well only that I know that I speak for my colleagues who do this as well out in the field that we’re all dedicated to whatever program we’re assigned to we’re absolutely dedicated to doing whatever’s necessary, whatever we can do to ensure they’re a success. We’re always there for support, when anybody contracts with NCI it’s not only getting the team in place and doing the training but it’s the on going support, and never in my ten years have we been in a position to be of more support than we are now. And I’m thinking in terms of the online webinars, in terms of our personal support (the SAE ‘s) with these clients, just in terms of all the support that exists at NCI to ensure the success of a program. So when people make an investment that’s a big part of the return that they get on that investment.